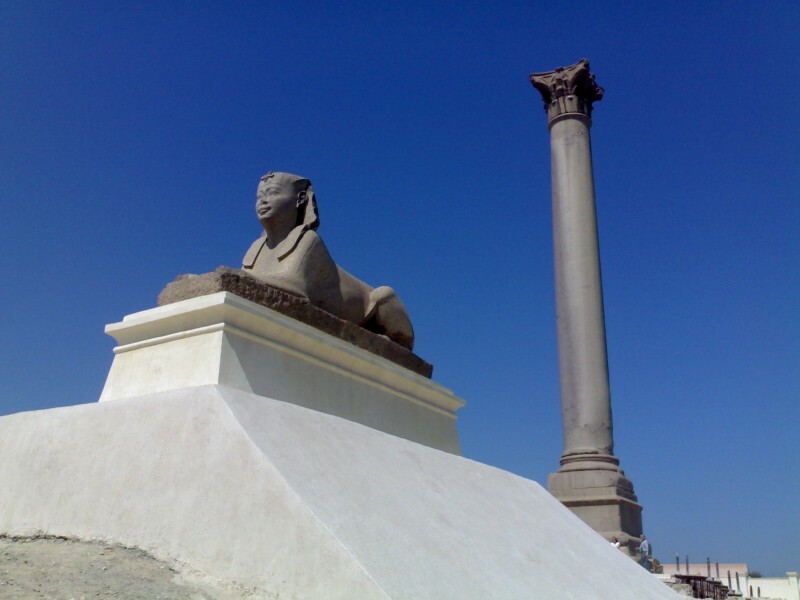 Egypt Travel representative will pick you up from your hotel in Cairo, then transfer to Alexandria. First visit Pompay's Pillar. It was constructed in honor of the Emperor Diocletain at the end of the 4th centaury. Originally from the temple of the Serapis , it was once a magnificent structure rivaling the Soma and the Caesareum. Proceeding to Qaitbay Citadel which was built on the site of the ancient pharaohs ( lighthouse) of Alexandria then to Bibliotheca Alexandrina. Visit the Catacombs which are the largest Roman Cemetery consisting of three levels cut in the rock and finally enjoy Montazah Palace. Back to hotel in Cairo.